Revolution Twist Pile Lounge Carpet in Rose Pink (10). Lounge carpets with an 11mm depth and a soft twist pile.Available in 13 colours. Stain resistant and hardwearing carpets for your home. 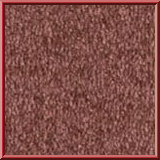 Revolution Twist Pile Lounge Carpet in Claret Red (20). Lounge carpets with an 11mm depth and a soft twist pile and a hessian backing. Perfect for lounges and bedrooms with a 5 year guarantee.